No longer will you need to pull out your bulky electric mixer when Norpro'sCordless Mini Mixer will mix, froth, beat/whip and blend/stir quickly andeasily. 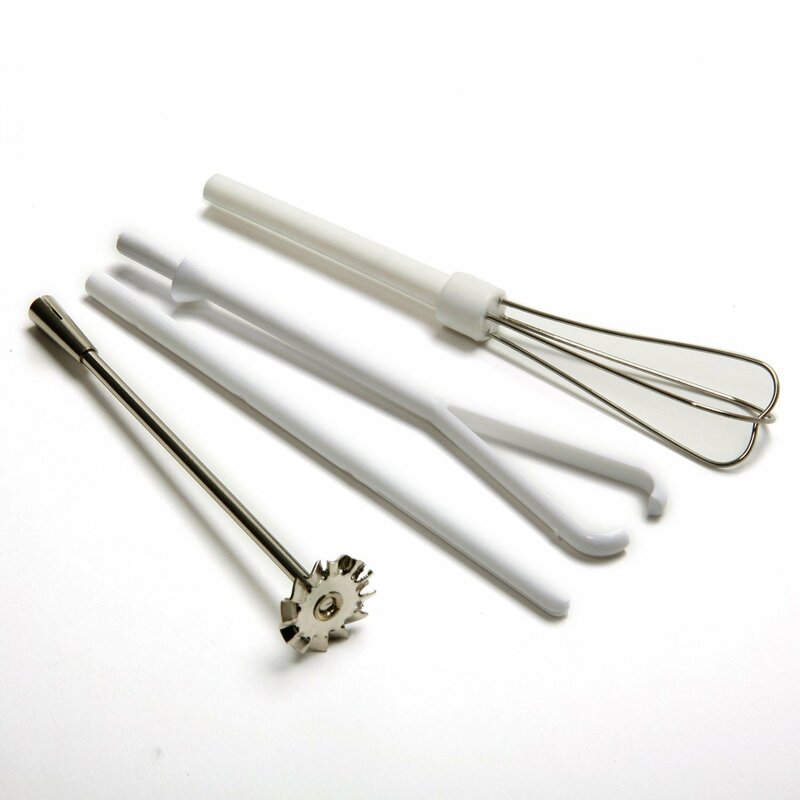 Norpro's Mini Mixer makes it a snap to froth your favorite beverage,mix up a single shake, whip eggs or blend your favorite dressing and sauces.The four attachments are dishwasher safe but the hand held device only needsto be wiped down with a damp cloth. Requires 2 AA batteries not included.